If you need a lot of speed in your wired home network, then Ethernet Technology is the way to go. An Ethernet network runs at data transfer speeds of 10/100/1000 Mbps (Mbps= Megabits Per Second), depending on the speed of the Network Interface Cards (NIC) used on the networked equipment. A speed of 100Mbps is usually more than enough for the needs of a typical home network. Usually, Ethernet equipment on the same network can auto-negotiate their speed settings, and set-up their speed to the highest supported value. 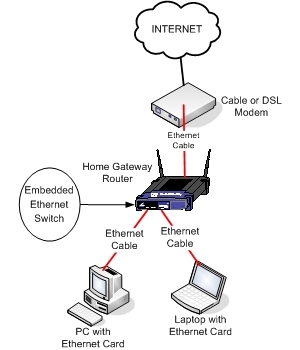 The network diagram below shows a typical Ethernet Wired Home Network. Here is the list of hardware equipment you will need to set-up a wired Ethernet home network. 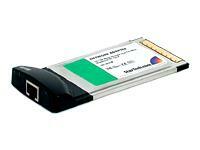 Network Interface Card: You need one for each PC or Laptop. 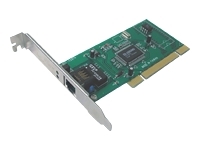 The ethernet card comes either embedded in the computer motherboard, or as add-on card such as PCI for PCs and PCMCIA/USB for Laptops. Ethernet Switch: This is the central connecting block of your Ethernet network. You need one for inter-connecting all network equipment. It is usually embedded in the Home Router Gateway device, as shown also on the diagram above. Home Gateway Router: This device is responsible to route the home network traffic towards the internet, and facilitates the Internet Connection Sharing. 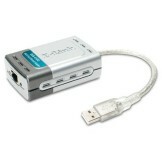 It also hides your internal home network from the Internet, and provides firewall protection from Internet attacks. 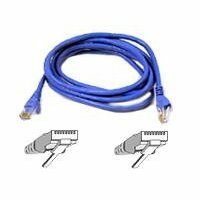 Ethernet Network Cables: You need one Ethernet Cable for each networked device (PC, Laptop etc) to be connected to the Ethernet Switch. The cables are categorized into Cat5, Cat5E, and Cat6. The last two categories (Cat5E and Cat6) can support data speeds of 100 and 1000Mbps. Ethernet cables are also called UTP (Unshielded Twisted Pair) and have 8 copper wires (4 twisted pairs). The plug at the two ends of the cable is called RJ45 plug. ‘Straight’ Ethernet Cables are used to connect a PC or Laptop to an Ethernet Switch, whereas ‘Crossover’ Ethernet cables are used to connect two PCs or Laptops together. My home network is similar to yours in ther diagram except that I have a wired TP_Link access point located at the other end of the house to deal with wireless “interference” (a hot water cylinder) in the middle of the house. My preferred configuration is a wired network but I could go completely wireless if I wished. The Internet connection is via telephone line into a VDSL broadband router. Ethernet cables connect directly from it to two laptops and a tablet. An Ethernet cable links to the access point from which another cable links to a laptop at the other end of the house. The access point is also linked by Ethernet cables to a television and BluRay player. The network options I have are “Homegroup” and “Network” as shown on the left of Windows File Explorer. My difficulty is that I can’t configure either of these options on the network to access all files and printers from each of the PCs even though all four are “visible” in File Explorer on each one. I feel I need to remove the present messy configurations and start again from scratch, avoiding “Homegroup” if possible. In the past I used a programme called Cisco Network Magic which was brilliant but it’s been discontinued and I can’t find a similar replacement. Apart from one PC (Windows 7), the rest are Windows 8. Any advice you can offer will be most welcome.